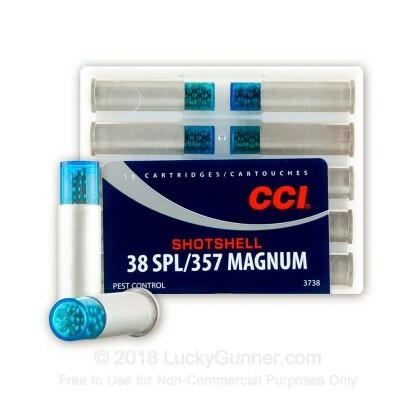 CCI's 38 Special/357 Magnum #9 Shot is a perfect solution for your pest control needs. 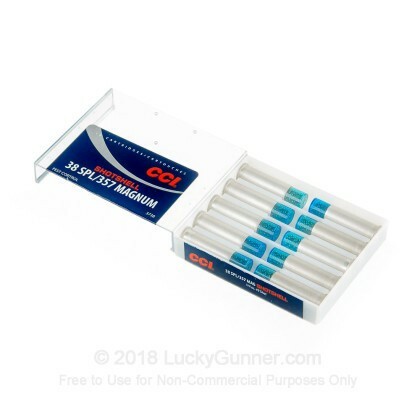 This cartridge features reliable CCI primers with a flexible base wad designed to prevent gas blow-by. 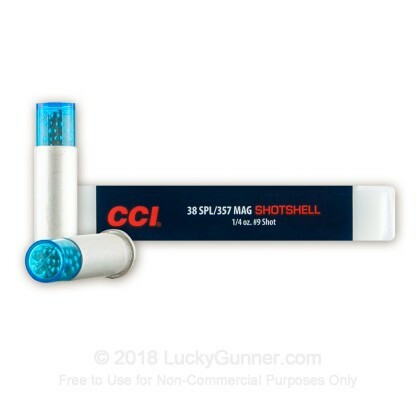 Whether you're going after pesky rodents or dangerous snakes, CCI's 38 Spl/357 Mag #9 Shot cartridges are a great solution to meet your needs. 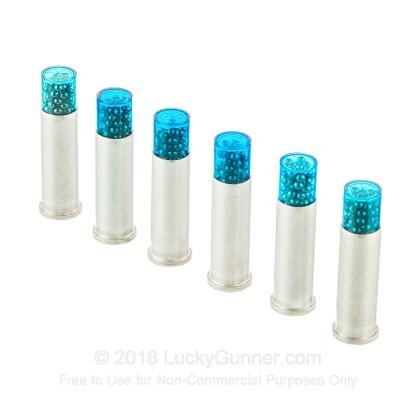 Note: This product is not intended to be used in revolvers with ported barrels or ported recoil compensators. These shells are not reloadable. One shot from about 8 feet hit part of the head and cut the body nearly halfway in two. Extremely hard to find. Everyone was out of them but got them here, although they are again unavailable.A lot of the "snake shots" are 11 shot but these are 9 shot. Great for copperheads. Should have bought more. As usual, outstanding products and service. Always happy with Lucky Gunner. 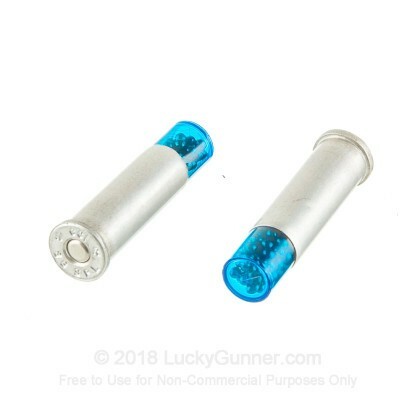 It has been hard to find CCI 38 spl shotshells but Luckgunner had them so I ordered 100 rounds. They come in handy on the farm for dispatching snakes with the Ruger Blackhawk my wife carries on her ATV. Shipped fast. Great service and products from Luckygunner. 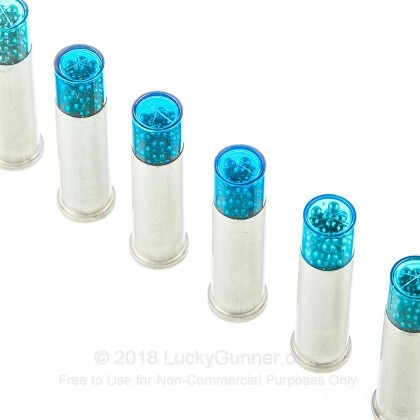 They are my go to source for ammo. Very persuasive when used on intruding reptiles .... like big FAT moccasins !! !